S. Shyam Sundar is the founding director of the Media Effects Research Lab and teaches courses on mass-communication theory, psychology of communication theory and research methodology. His research investigates social and psychological effects of technological elements unique to web-based mass-communication. In particular, his studies investigate the effects of interactivity, navigability, multi-modality and agency in web interfaces upon online users' thoughts, emotions and actions. Mary Beth Oliver is the co-director of the Media Effects Research Lab and teaches courses on media effects, communication research, quantitative research methods and interpersonal communication. She specializes in media and psychology, focusing on both the psychological effects of media, and on viewers' attraction to or enjoyment of media content. Her research includes studies pertaining to media violence, reality-based television programs, gender differences in enjoyment of media entertainment, viewers' responses to melodramas and sad films and media portrayals of racial groups and the effect of such portrayals on viewers' racial attitudes. Lee Ahern is a faculty affiliate of the Media Effects Research Lab. 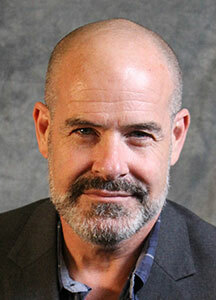 He teaches introduction to advertising, research methods and media planning. His current research focuses on the description, analysis and ethics of strategic messages, primarily in the context of environmental and health communications. In particular, he has explored psychological effects and cognitive processing implications of different environmental message factors. In an international context, Ahern also studies the roles of culture and media system development on environmental attitudes and behaviors. Ahern's work has been published in Journalism & Mass Communication Quarterly and Health Communication. In 2007, Ahern received the Betsy Plank Graduate Student Research Award, which is presented annually at the Public Relations Society of America International Conference. He has presented multiple papers at the Association for Education in Journalism and Mass Communication (AEJMC) annual conference. He is the current Research Chair for the Communicating Science, Health, Environment and Risk Division of AEJMC. Frank Dardis is a faculty affiliate of the Media Effects Research Lab and teaches courses on strategic communication, advertising and marketing, and advertising / public relations research methods. His research focuses on the psychological and persuasive effects that informational messages have on people. Specifically, he has examined message framing, media framing, advocacy appeals, sponsorship messages, and repeated message exposures within both sociopolitical and marketing / consumer-related contexts. He has investigated message effects regarding sociopolitical topics such as social movement organizations, war protest, environmentalism, capital punishment and political apathy. His consumer-oriented research focuses on the impact of advertising messages on individuals' information processing and brand / corporate attitudes. In addition to regularly presenting his research at major academic conferences, he has published articles in journals such as Mass Communication and Society, International Communication Gazette, Communication Quarterly, Journal of Political Marketing and Journal of Consumer Behavior. Dennis Davis is a faculty affiliate of the Media Effects Research Lab. His teaching and research interests focus on mass communication theory, new media literacy, international communication, research methods, and political communications. He has served as a tenured full professor at Cleveland State University, Southern Illinois University and the University of North Dakota. He was director of the School of Communication at the University of North Dakota and has served as editor of the Journal of Broadcasting & Electronic Media, published by the Broadcast Education Association. 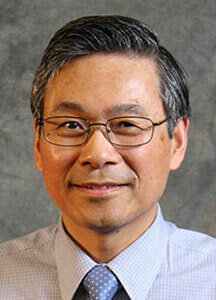 He is a member of the editorial review board for the Journal of Communication and Communication Quarterly. He regularly reviews research for several other journals, including the Journal of Broadcasting and Electronic Media and Political Communication. He has co-authored four books on political communication, mass communication theory and news audience research. He has published 15 book chapters, 13 journal articles and 11 book reviews, and has presented more than 50 research papers at state, regional and national meetings. He has headed divisions of the Association for Education in Journalism and Mass Communication and the National Communication Association. His research has won the Donald McGannon Award for Social and Ethical Relevance in Communication Policy Research from Fordham University and the Broadcasting Preceptor Award from San Francisco State University. 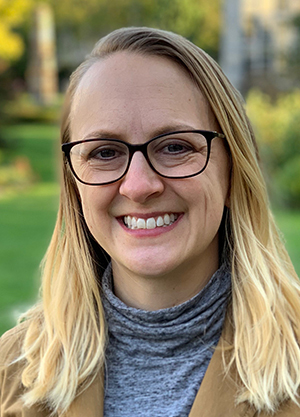 Jessica Myrick's research examines the role of different emotions in shaping audience responses to health, science and environmental messages. She argues that mediated messages need to resonate emotionally with individuals in order to change attitudes and behaviors related to those topics. For example, she has investigated how content from the Discovery Channel's popular "Shark Week" series impacts the effectiveness of conservation-focused public service announcements. Michael Schmierbach is a faculty affiliate of the Media Effects Research Lab and teaches courses on media effects, political communication, quantitative research methods, and video game effects. His research focuses on individuals' perceptions of media and the role of media exposure in shaping those perceptions. Specifically, he has conducted research exploring how enjoyment of video games is influenced by interface and control schemes, multi-player game modes, perceptions of game difficulty, and other game characteristics. In addition, he has studied 3rd-person perceptions as they relate to video games, and information-seeking in regards to news and political coverage. He has presented his research at various academic conferences, and has published articles in several journals, including Mass Communication and Society, Communication Research, Journal of Communication, and Journalism & Mass Communication Quarterly. Fuyuan Shen is a faculty affiliate of the Media Effects Research Lab and teaches courses on media planning, advertising campaigns, strategic communications, and research methods. He conducts research on advertising, health communication, and political communication. His research integrates theories in social psychology, cultural psychology, and communications to explore the effects of media messages. He has previously studied how advertising and health message frames interacted with individual differences in changing attitudes towards brands, issues, and other behavioral, cognitive, and affective responses. He has also conducted research exploring the impact of political advertising, and news framing of social and political issues. He has published numerous articles in journals such as International Journal of Advertising, Journal of Advertising, Journal of Communication, Journalism & Mass Communication Quarterly, and Mass Communication and Society. Bu Zhong, an assistant professor, senior research fellow of the John Curley Center for Sports Journalism, and faculty affiliate of the Media Effects Research Lab, teaches TV news reporting, news media ethics, international mass communications and world media systems. His research concentrates on decision making, social networking, media ethics and judgment in consuming and producing news and sports information. His work has been published in Journal of Communication, Journalism and Mass Communication Educator, Newspaper Research Journal, American Behavioral Scientist and International Journal of Sports Communication. Before he joined the Penn State faculy, he had more than 10 years of work experience at CNN Washington Bureau in D.C., CNN Center in Atlanta, and China Daily in Beijing. Her research primarily examines the social and psychological effects of new media technologies, with a special interest in mobile gaming and health. Her research interest is in investigating the psychological effects of interacting with voice-activated conversations agents (CAs). In particular, she is interested in examining how the difference in modality, source, and/or information tailoring practices could have impact on user perceptions. Her area of interest is understanding the role of emotion in how we select, attend to, process, and ultimately respond to media content. Of more recent interest to her is the opioid epidemic and understanding how media content can help shape a more informed and empathetic culture around addiction. He is interested in examining environmental issues and how publics become more active due to related, emerging public health concerns. Her research interests focus on understanding the psychological effects and cognitive processing implications of media messages in improving public health. Her research examines the psychology of communication technology and media effects, with particular interests in health and science communication. More specifically, she studies the psychological and behavioral outcomes of interacting with media and technologies like social media, online news, and artificial intelligence. Her research interests focus on how and why individuals develop parasocial relationships, and how it can be used for prosocial causes. His research is situated in the fields of communication and technology, human-computer interaction, and computer-mediated communication. Specifically, he is interested in the relationships people form with their devices. Her research interest is in self-representation in virtual environments. She would like to examine how a user’s interaction with virtual avatar may affect their offline cognition, behavior, and affect. Her research interests are the effects of new technologies on human psychology, such as psychological well-being, cognition and attribution processes in the context of social media, etc. Her research interests include the acculturation process of international students as well as on selective exposure and mediated communication, and media effects on immigration. Her primary research interest lies at the intersection of health communication, social psychology, media effects, and computational social science methods. He is interested in research related to gaming and interactive media effects. Her research interests are in social media uses and effects, media portrayals of social groups, and media entertainment with an emphasis on inspirational media. Her research interest is in the promotion of health behaviors through interactive media and relevant research methodologies. Her current research interests focus on user-generated content, native advertising and strategic communications with an emphasis on social media. She is interested in the effect of new media on changes in people's attitudes, behavior, beliefs and intentions. She is interested in health communication and science communication, understanding how we can effectively communicate science-related benefits and risks to average audiences. She is also interested in data analysis in science/health communication especially in big trends data collected from digital media. Assistant Professor / Roanoke College -- Salem, Virginia.